European Commission entertained allegations that airlines coordinated the pricing of freight services. European Commission imposed fines of 790 million euros on the airlines for fixing pricing of freight services. Commission imposed fines on all carriers even though some infringements were attributed to a limited group. The European General Court has annulled 790 million euros in fines imposed by the European Commission against 11 international airlines on allegations that they engaged in anticompetitive activity in the airfreight market. The airlines in question were Air Canada, Air France-KLM, British Airways, Cargolux Airlines International, Cathay Pacific Airways, Japan Airlines, Latam Airlines Group, Lufthansa Cargo, Martinair, Qantas Airways, SAS Cargo Group, Singapore Airlines Cargo. The case dates back to 2005 when the European Commission, the chief executive body of the European Union, entertained allegations that airlines coordinated their behavior as regards the pricing of freight services, specifically colluding in setting fuel and security surcharges. In November 2010, the commission adopted a decision and imposed fines of 790 million euros on the airlines in question, with the exception of Lufthansa and its subsidiaries, which were granted immunity. The court overturned the commission after finding the commission’s grounds and reasoning to be contradictory. The commission’s decision, on the one hand, describes the behavior of a worldwide airfreight cartel and that the collusion in question applied to all places and all times. On the other hand, the decision mentions four infringements, relating to different periods and routes. 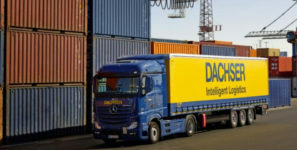 “Whereas some of the infringements were found to have been committed by all the carriers concerned,” the court decision stated, “others were found to have been committed by a more limited group of carriers. The commission imposed fines on all of the carriers concerned,” other than Lufthansa. The main defense asserted by the airlines was that the infringements found by the commission were insufficiently clear.